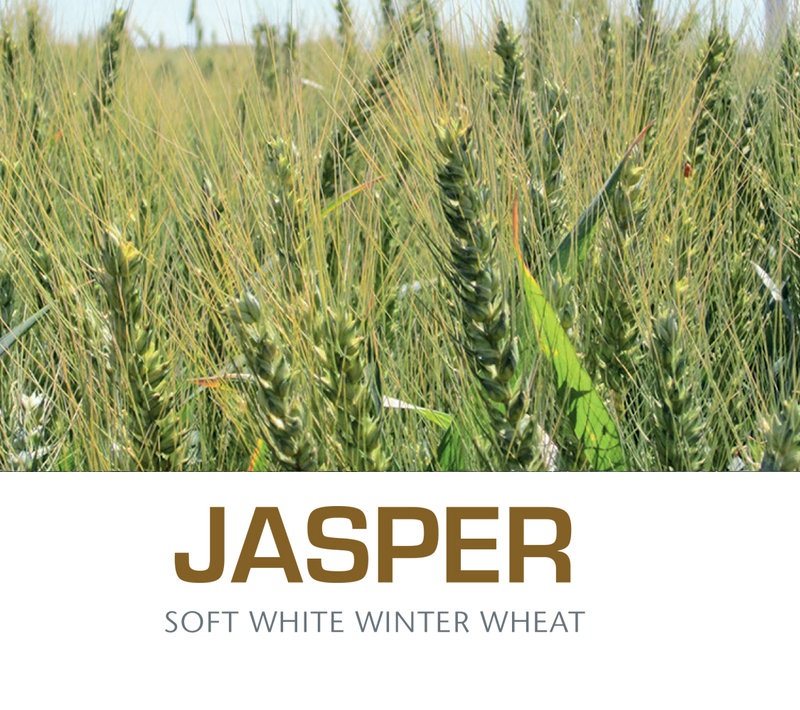 Jasper, (WA8169) is a soft white winter wheat developed and released in 2014 by the Agricultural Research Center of Washington State University. Jasper is named after the first wheat breeder at WSU, William Jasper Spillman, and is the 100th release from WSU. Jasper provides a combination of excellent yield potential, great end-use quality, and good disease resistance for many production regions of the inland Pacific Northwest. Jasper is broadly adapted to many dryland and irrigated areas in the states of Washington and Idaho, and has maintained high yield potential across locations and years.